SCAN THE CODE! 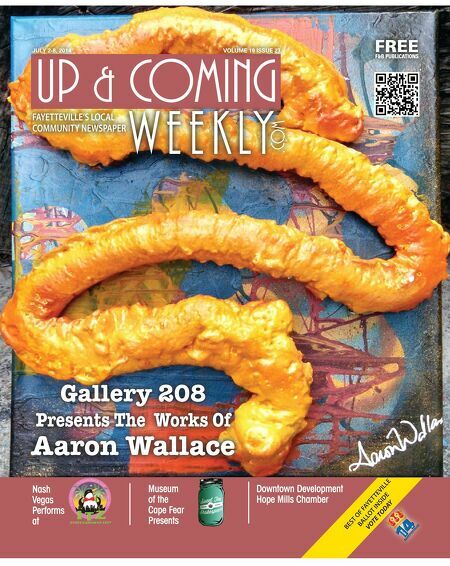 Put Up & Coming Weekly's Pocket Guide In Your Pocket! 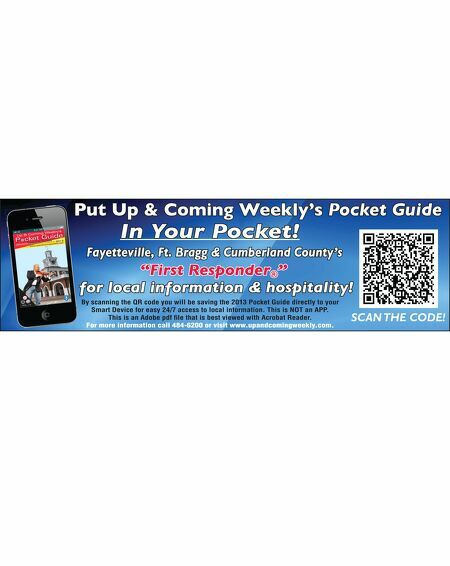 Fayetteville, Ft. Bragg & Cumberland County's "First Responder ® " for local information & hospitality! By scanning the QR code you will be saving the 2013 Pocket Guide directly to your Smart Device for easy 24/7 access to local information. This is NOT an APP. This is an Adobe pdf fi le that is best viewed with Acrobat Reader. For more information call 484-6200 or visit www.upandcomingweekly.com.